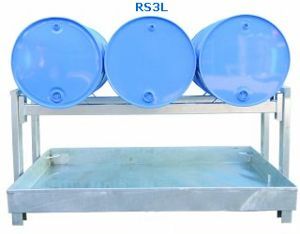 The NS-RS3L drum rack system comprises of a stand alone bolted assembly drum rack to accommodate 3 drums with spill containment tray sitting underneath. If there happens to be a spill, the tray can be easily removed without disturbing the drums above. This spillment tray is fitted with a removable plug to facilitate easy emptying of the spill. The NS-RS3L triple drum racks comes in a long life zinc plate finish. 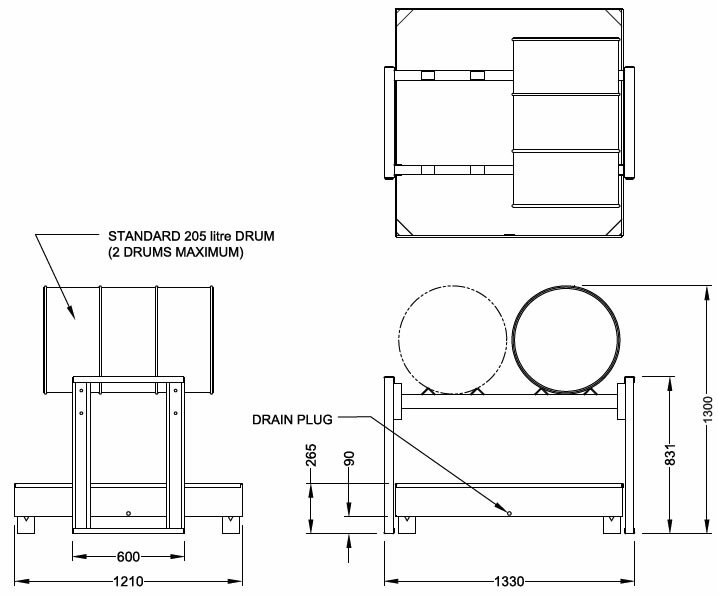 The drum rack tray spill capacity is at least 110% of the largest package in accordance with Australian Standards with this being classified as a portable unit.